This is .17 HMR Hornady 17gr. 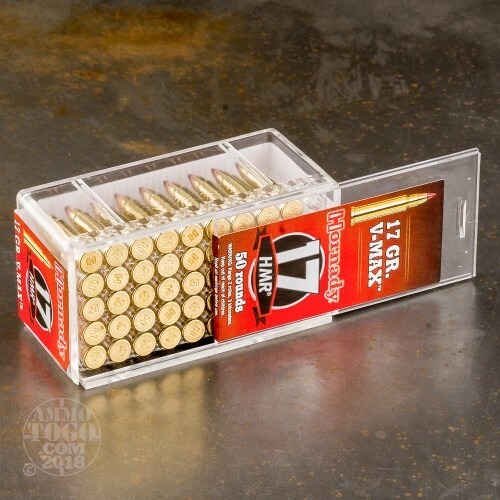 Polymer Tip Ammo. You get the best out of this hard-hitting V-Max technology. With its polymer tip the V-Max bullet delivers more than tack-driving accuracy at long range, it also creates dramatic expansion on impact. You will honestly get outstanding 200-yard performance from this round. 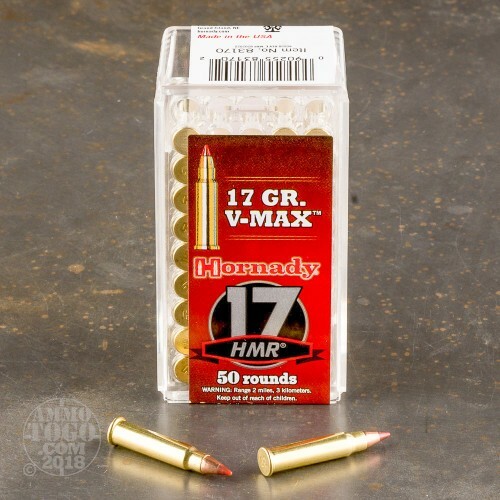 The flat trajectory delivered by the 17 HMR makes it the most accurate long-range rimfire ever made. It comes packed in 50rd. boxes. 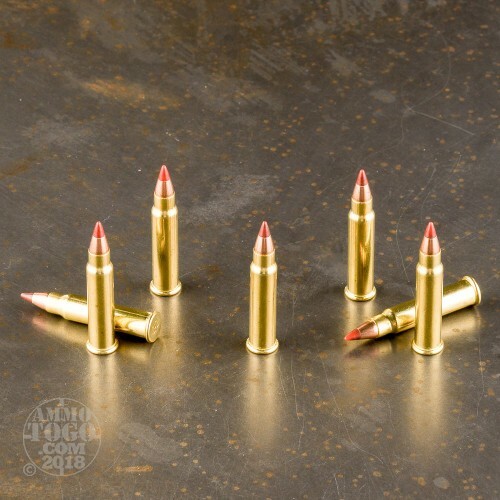 Muzzle Velocity: 2550 fps. Bust a bottle cap@ 100 yds every time!!! Local coyotes HATE this round!! Hit a coyote @ 100 yards between the eyes and I saw his skull cap fly about 30 feet in the air. When I got there the cavity was empty. Amazing round. Shot a hog in a trap at 30 yards between they eyes. Dropped him like a bag of rocks. This round rocks. Great for small game all the way up to coyotes. 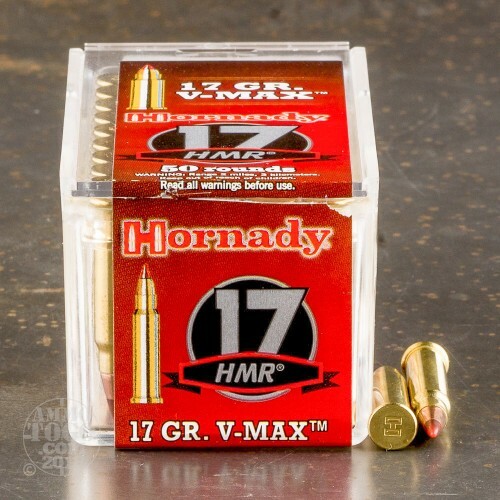 I HAVE TRIED OTHER BRANDS, BUT THE HORNADY'S HAVE ALWAYS BEEN THE BEST.